The hyper-patriotic heat over Indo-Pak aerial battles is diminishing. Other issues are getting more attention. The Election Commission has notified polling dates, so its model code of conduct for political parties is in force. This says no new projects or welfare schemes can be announced or implemented before the election. What does this imply for the pre-election PM-Kisan scheme, announced in the budget? Pre-election budgets are usually just votes on account. But the budget this time included an annual grant of Rs 6,000 per family for farmowners of up to two hectares. Moreover, this was made retroactive, so that the first instalment of Rs 2,000 could be paid in March, within the financial year 2018-19, although the budget speech related to the next year, 2019-20. Another instalment of Rs 2,000 per family is proposed to be paid in April, which will be in the next financial year. Will that violate the model code of conduct? Congress spokesmen complain that even the March instalment of Rs 2,000 was an unwarranted retrospective budget act. They argue that a second instalment of Rs 2,000 in April would be an attempt to buy the coming election, and will be against the model code of conduct. This is much ado about very little. History suggests you cannot buy an election with freebies. If that was so, every incumbent government would announce a huge pre-election bonanza, and get re-elected repeatedly. In fact 75% of incumbent governments are voted out (save in exceptional times) despite pre-election freebies. Before the 2009 election, the ruling Congress offered a farm loan waiver and an expanded NREGA for rural employment. The party was re-elected, and attributed this to the loan waiver and NREGA. Others disagreed. GDP growth under the UPA in 2004-09 hit a record 8.5% per year, way above 5.7% GDP growth in the Vajpayee years (1988-2004). The decline of poverty doubled from 0.75% annually in the Vajpayee years to 1.5% in UPA-1 (2004-09). This massive shared prosperity, benefiting all, ensured UPA’s re-election. Sonia and Rahul Gandhi do not think that way. In his widely acclaimed book Democracy on the Road, Ruchir Sharma relates a meeting with the two Congress dynasts, where he tried to explain the huge gains to be made from economic reforms that promoted rapid economic growth. The Gandhis, incurable advocates of freebies, looked blank and listened in stony, unbelieving silence. Had the loan waiver and NREGA been the main reasons for the 2009 victory, the biggest UPA gains should have been in rural areas. In fact it swept all major cities (Delhi, Mumbai, Chennai, Kolkata, Bangalore and Hyderabad) that gained enormously from record GDP growth. But the UPA stumbled in poor rural states, which should have been the biggest beneficiaries of NREGA. A research study by Arvind Panagariya and Poonam Gupta showed that the Congress won only 22 out of 115 seats in five poor rural states — Bihar, Odisha, Chhattisgarh, Jharkhand and Madhya Pradesh. All five were ruled by non-Congress chief ministers with a clean image who had also accelerated GDP growth greatly. Central Statistics Office data at the time (based on the old series), showed that if one compared state GDP growth in 2000-04 (Vajpayee-2) with 2004-09 (UPA-1), it shot up from 4.5% to 12.4% in Bihar, from 4.8% to 10.2% in Odisha, and from 6.1% to 9.7% in Chhattisgarh. Fast growth lifted prosperity not just in urban areas but in rural areas too. There were of course other factors at play (such as the crushing of gangsterism by Nitish Kumar in Bihar). The big picture was that voters in poor states gave their votes to successful chief ministers who accelerated growth and had a clean image, not to Sonia Gandhi for her loan waiver or NREGA. Freebies are not irrelevant but are not clinchers either. K Chandrashekar Rao swept last year’s Telangana election, and many attributed this to his Rythu Bandhu scheme giving Rs 8,000 per acre to farm owners. That cannot explain his sweeping all seven urban seats in Hyderabad. Clearly his appeal was broad based. Other states feel obliged to follow in KCR’s footsteps. 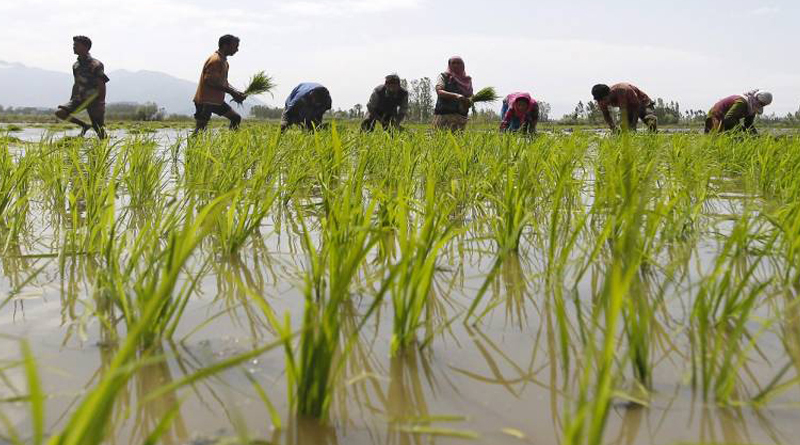 Odisha and Jharkhand have announced variations of Telangana’s cash-to-farmers benefit theme. Modi’s PMKisan is one more, though Congress-ruled states are sabotaging its implementation. It is a defensive move to avoid being labelled anti-farmer, not a great vote winner. PM-Kisan cannot compensate for falling farm prices, insufficient jobs, and lack of GDP acceleration. Modi’s election hopes will rest mainly on hyper-nationalism and toughness on Pakistan.